An offbeat observer. Innovative educator. Master of Music & Archetypes. 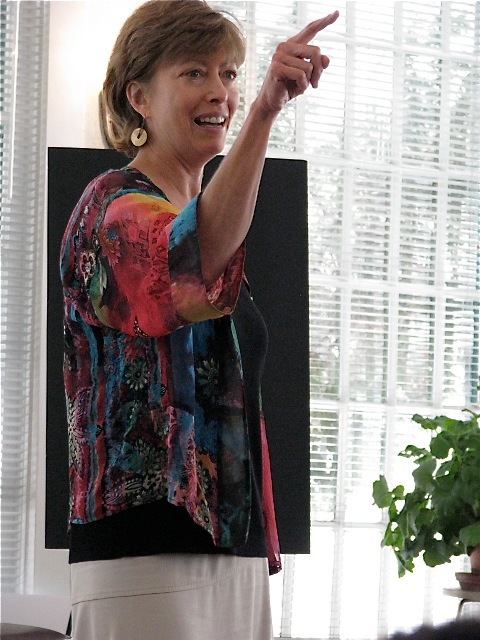 Molly has a keen sense of story and is loved by audiences for her dynamic, humorous and unconventional take on life. Her speaking and workshop creations are gifted with wit, perspective-shifting wisdom, and just the right degree of intelligent personal twists. Crank up the volume (if you dare) on your next meeting or conference with a music-infused, inspiring, interactive call to action. Complete with Motown and Mozart. Just because it’s fun, doesn’t mean it’s fluff. Face it, powerpoint wears thin. Dealing with tough issues? Interpersonal office conflicts? Has staff lost sight of self-care? In the process of company branding adjustments? Organization demands are rising but with reduced staff? Molly has a talent for relieving tension, shining a light on the elephant in the middle of the room, kicking in a new perspective on a tough issues Oh. You say things are GREAT??! Ideal! How can we emphasize and multiply your terrific results? You state the business/organization issues and successes. Molly researches and creates presentation content that brilliantly responds to the overall objectives of your event. With its universal appeal, there isn’t a topic with which music cannot partner to shed new light and drive your message home. YOU JUST GOTTA BE CURIOUS HOW MUSIC MESSES WITH YOUR HEAD. FUN DOESN’T MEAN FLUFF. DISCOVER HOW TO LIGHTEN THE LOAD. Masterfully decode the role music and your inner archetypes in shaping mood, health, perspective and spirit. Explore the secret to “changing your tune” to bring new attitudes, order, and direction to life challenges . Gain new perspective in creating authentic relationships, and shifting those that haven’t been working. Sharpen your partnership with music to enhance mental and physical well-being, and emotional intelligence. Custom-designed sessions to enhance your rich workshop insights! Explore workshop insights re: specific archetypes guiding/ driving your current results. Create a journey map for next steps. Identify the layers of “the stories of your life” that you live by. Master new tools to dissolve those stories that no longer serve. 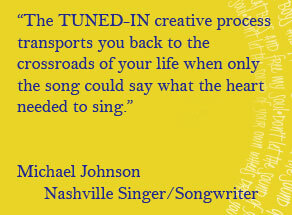 Master the harnessing of music to transition your thought patterns and allow powerful new stories to take hold.